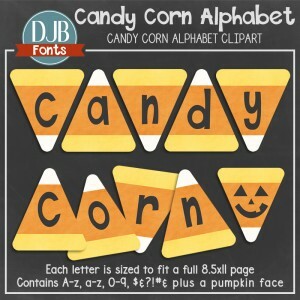 Favorite Free Fall Fonts from DJB Fonts! My fonts are free for personal use only. If you would like to create a product to sell in any capacity (including vinyl, teaching products, tshirts and more), a promotion or campaign using my fonts, please purchase a commercial use license here! Thank you! Is Autumn your favorite time of the year? 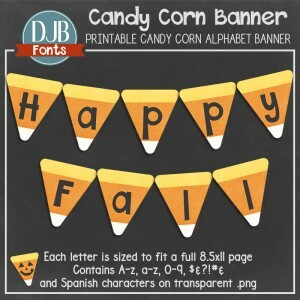 These free fall fonts will help you bring the feel of fall onto your scrapbook pages, teacher created materials and every other way you love using fonts! These files contains one .ttf file with a single case alphabet, numerals, and punctuation marks. Some may contain European language characters. They are free for personal use (not-for-profit). If you have a question about what constitutes personal use, check out this info or contact me with questions. If you would like to use these fonts for your commercial/professional ventures, please purchase a commercial use license here. For your records, be sure to include the name of the font you are purchasing the license for. And if you love fall, check out these fall products!